Adapted from a novel by French writer Boris Vian, Michel Gondry's return to France after the bloated Hollywood excess of The Green Hornet is a bittersweet love story overburdened by directorial tricks. There's a delicate romance buried within, but Gondry's endless stop motion tomfoolery and visual jokes prove overwhelming in all the wrong ways. Colin (Romain Duris) is a wealthy man who doesn't have to work, preferring to inhabit his swish Parisian apartment enjoying the meals cooked for him by chef Nicolas (The Intouchables' Omar Sy). Venturing out to a party, Colin meets Chloe (Audrey Tautou), and they enjoy a whirlwind courtship and marriage. But Chloe's health starts to deteriorate, and despite Colin's willingness to help, his supply of cash is quickly running out. 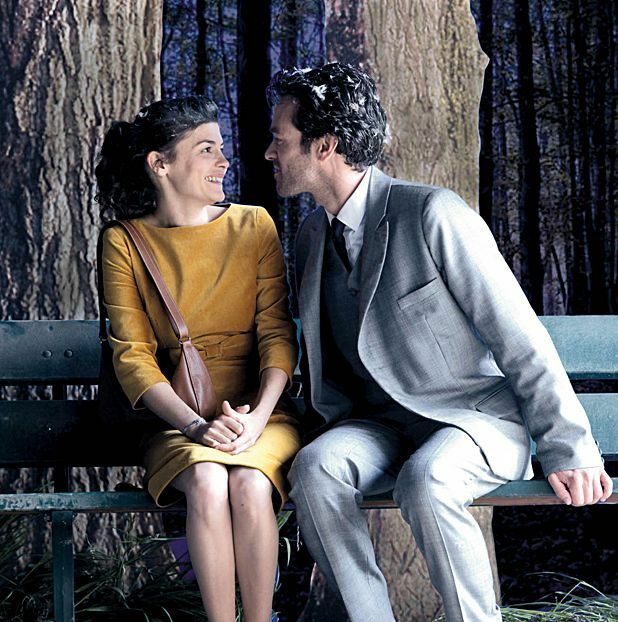 Gondry's visual flair worked well in pop videos and Eternal Sunshine of the Spotless Mind, but Mood Indigo is chaotic with unexplained ideas, from the transparent car Colin rides around in to the mechanical cloud that transports him and Chloe around Paris. When the mood becomes darker, subtle touches like the accumulation of cobwebs in Colin's apartment are drowned out by silly inventions like the insect-like doorbell or the helpful mouse. Comic exaggeration has always been part of Gondry's repertoire, but it conflicts with the downturn in Colin and Chloe's fortunes. A sub-plot satirizing intellectual adoration of Jean Paul Sartre falls flat, clearly edited down in the compression from the original 131 minute running time to a still messy hour and a half. Taking its name from the classic Duke Ellington track, Mood Indigo aspires to be a timeless classic of lost love, but the jokes are only occasionally funny, meaning that the lurch into sentiment never feels earned, and Colin and Chloe never seem real, just figments of an over-active imagination. Screening as part of Glasgow Film Festival, Mon 24 Feb.